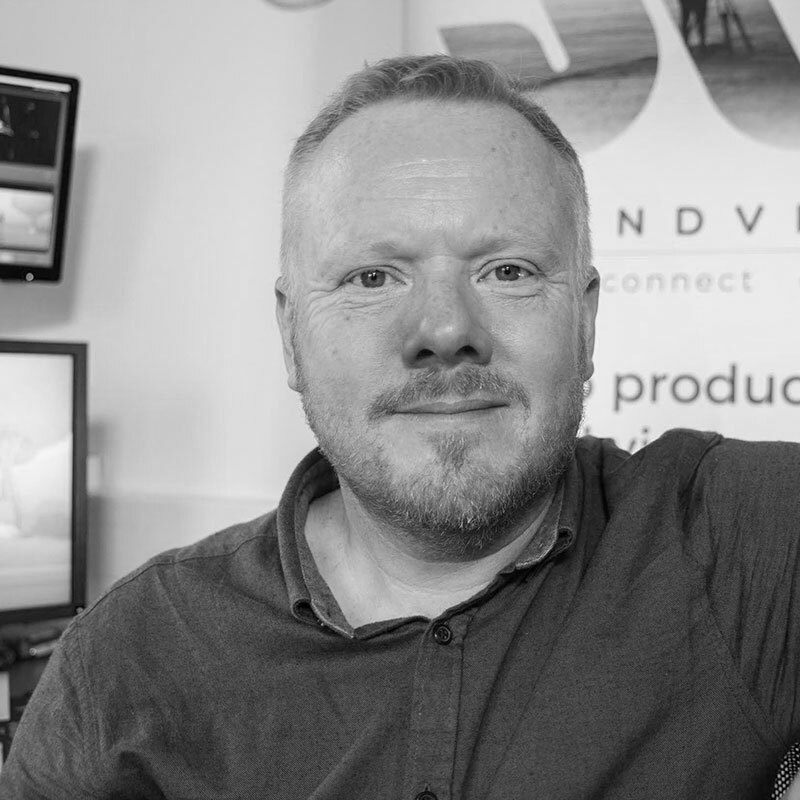 Gareth has been at the helm of SoundView for the past 8 years. He’d previously had a career spanning 17 years as a producer, director, journalist at ITV and BBC TV and radio he has media production in his DNA. At the core of SoundView’s work is high quality video content for the tourism industry. Soundview has been at the cutting edge of immersive video production and is currently developing VR tours for destinations, attracting global audiences. Over the past 8 years the digital landscape and the way we deliver film content has moved rapidly and we’ve had to stay up with that. Using VR has changed the way we create, shoot and storyboard our content. From drones to VR /360 video, immersive video is a fast changing environment. Storytelling is at the heart of what we do, and the way in which we tell those stories is becoming more immersive and allows the viewer more choice on the journey they want to take. With this we need to adapt our film making techniques and expertise to keep up with the ever changing digital landscape. This is what our clients demand, if we don’t, they’ll go elsewhere.